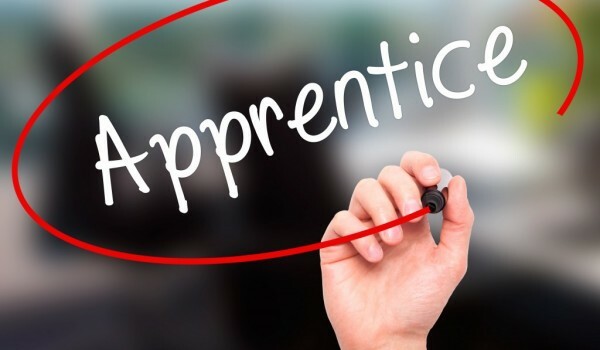 On 6 April 2017, as a result of the Government’s review of youth unemployment and its ongoing promotion of apprenticeships, the Government is introducing an Apprenticeship Levy. Employers with a wage bill of £3 million per annum (or more) shall be required to report and make payment to HMRC of the levy. Where a businesses’ wage bill is £3million or more (or likely to be £3million or more) in a relevant tax year, the business must pay 0.5% of its wage bill as a Levy, less an annual allowance of £15,000. The Levy is payable to HMRC monthly. The wage bill for these purposes is the total amount of earnings for which the business is liable for secondary National Insurance contributions for that tax year. Employers’ National Insurance contributions thresholds are ignored for this purpose and a person is treated as being liable for National Insurance contributions on earnings, even if the applicable rate is 0% because a worker is under 21 or an Apprenticeship under 25. For “connected” companies and charities, the requirement to report to HMRC for the Levy arises if the aggregate total of their wage bills for the preceding tax year is £3 million or more. According to the Government, less than 2% of employers will be liable to pay this Levy. It will also be payable by Public Authorities and Intermediaries contracting to supply workers to them. Any business liable to pay the Levy is entitled to a £15,000 offset in the form of an annual allowance. If the business has more than one pay-roll reference, it may apportion the allowance between the pay-roll references. The Levy allowance is spread evenly over the year so that the amount may be offset against each monthly levy liability and is calculated as one twelfth of the total allowance for that year. At the end of the tax year, the business may reallocate any unused portion of the Levy allowance for one pay-roll against the liability for another. If the Levy has been overpaid, the employer must offset the overpayment against its other PAYE liabilities before making a claim to HMRC for reimbursement of any remaining excess. If two or more companies or charities are connected at the beginning of the tax year, they will be entitled to only one £15,000 allowance between them for that year. Connection of companies and businesses is determined using the same test for the employment allowance, namely that of control. As such, Group Companies are likely to be included in this. This new Levy will be introduced alongside a new on-line Digital Apprenticeship Service (“DAS”). The DAS will require a business to register their details on-line. When a business wishes to drawdown from the Levy fund, it will need to register the details of the apprentice (age, the standard they will be on etc). It will then tell the business how much Levy they are able to use, in the form of a voucher. These vouchers can then be used by the employer to spend on training with a registered training provider. In addition to apprenticeships, the Levy can also be used for certain other training, such as, providing further training to eligible staff. The vouchers will last for 24 months from the time they appear in the DAS. If they are not spent within the 24 months, they will expire and the employer will lose them. Vouchers can be used across connected companies and the system will allow the connected companies to pool the vouchers and spend them throughout the companies. The Government will top-up the DAS pot by 10% which will go towards the training total. There are procedures included in the draft regulations to prevent anti-avoidance and also non-payment. We are currently waiting for the final version of the regulations to be published, however, we do not consider there will be any substantial changes. As such, employers should ensure that their pay roll has been estimated and that their pay-roll teams are prepared to report the Levy to HMRC. If you wish to discuss this further, please contact Andréa or Rachel.